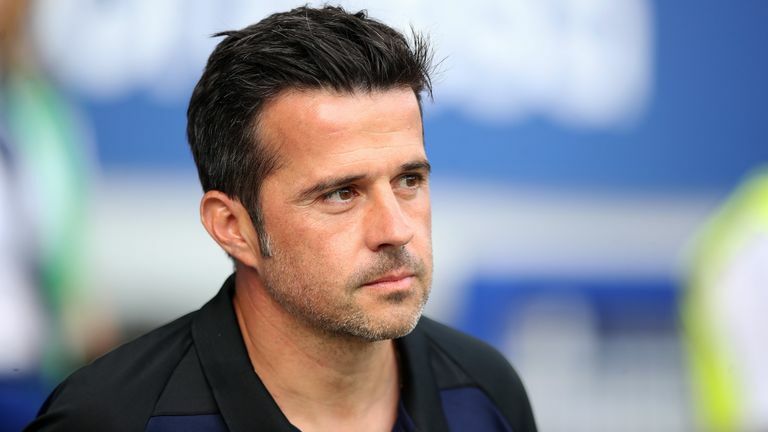 Marco Silva says he is not worried by an independent inquiry into how Everton recruited the former Watford manager. The Premier League confirmed on Friday that it has set up an independent inquiry into Silva's appointment at Goodison Park, which has been the cause of a dispute with Watford. If found to have broken Premier League rules on 'tapping up', Everton could face a substantial fine or potentially be docked league points - but Silva remains unfazed by the situation. "I don't have thoughts about this. I don't lose my focus, I am really calm about the situation and my focus is only on what is important for me and us as a club," he said. "The focus is on the next game. I have been working here since July 3 to prepare our squad for the match and training sessions." When asked whether he is worried about the potential punishments, Silva said: "I don't hear and I don't read anything about that. It is not important for us or for me as a manager." Everton face West Ham at home on Sunday, live on Sky Sports, but Silva will be without Seamus Coleman, James McCarthy and Andre Gomes. Defender Yerry Mina is also unavailable. When asked about the progress of his £27.2m signing, who has yet to feature for the club, Silva said: "He started training with the group. Now it is a matter of getting him ready to play. "It is the same situation with James McCarthy. He has to win some confidence as well. It was a bad injury. He is doing well, he is happy and confident, now we must give him time for sessions. Why is Sigurdsson still struggling? "Dominic [Calvert-Lewin] is okay, he is in normal condition and worked with the group. Seamus [Coleman] is out for the [West Ham] game. Our medical staff will make a report but he is out for one or two weeks. "[Andre] Gomes is not ready yet. Bernard is okay and worked with the squad this week."